The movie franchise has been doing pretty well, and it was something of a gamble to reboot the franchise with new actors playing familiar characters from the original TV show, and first movie offerings. Enterprise served as a prequel to the first series and this is set 10 years before the original series. It seems a strange choice to keep going backwards along the timeline rather than moving forward and setting it somewhere after Next Generation. It definitely isn’t the easiest thing to build something new and forego the familiar, projecting out from what some people see as a Utopian vision with the world of Next Generation, and its replicators. I read something that suggested the return to a period in the Trek universe where everything was not established and the places and people being dealt with have more of a Wild West vibe, allows for exploration of darker subject matter. The notion being that this more accurately reflects what is occurring in society at the moment – one of the functions of science fiction being to act as a gauge for the present day, being more of a social fiction rather than anything predictive or prescient. The thing is this doesn’t seem like the only way they could have achieved that. There were enemies in the combined universe of Voyager, DS9 and Next Generation that would have made the failure of The Federation a real possibility. Are we not, according to some, in the throes of a country realizing that the big project of a representative democracy shackled to capitalism isn’t working? Start to strip always some of the luxuries and safety from characters who have had all their problems solved, and you would have a lot of interesting ground to explore. The Borg, The Cardassians, and the Dominion were hardly likely to just go away. Or something new even. It is usually the villains that crystallize the series, and that will probably be the case here as well. Anyway, that isn’t what we’ve got. It just feels a little weird to have something that is supposedly in the future, but is also in many regards a nostalgia fest. Hopefully this show won’t have the old status ante bellum issue where the reset switch is thrown after each episode, a thing which in my mind made the shows inferior to the likes of Babylon 5, which had the characters follow and arc, and which gave events more power. It is being pitched as something different, by virtue of focusing not on the commander, but the first officer. The cast are from diverse backgrounds too. I just personally wish they could say to boldly go where no one has gone before, and not have to have the reality be revisiting old grounds with revised histories that you have to shoe-horn into continuity. 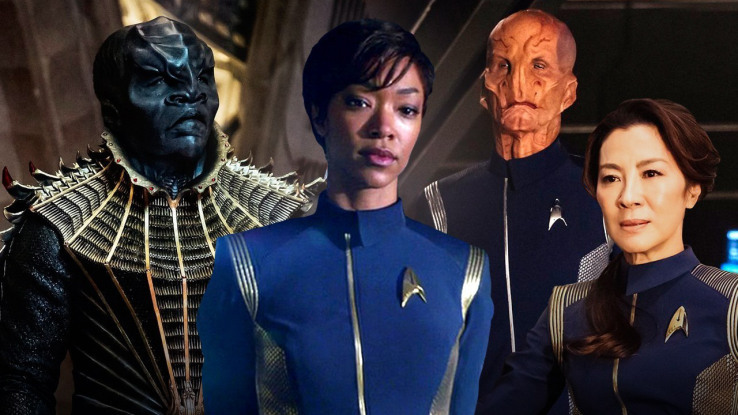 It was created specifically for the CBS All Access on demand service, and the hope is that it will pull enough people in because of the cache of Star Trek, and it may work. It’s CBS’s first real foray into original programming, so they have a lot riding on it. Hopefully it will open up the possibility of some actual future series, because reboots are getting more than a little tedious. It is early days yet, so some of these things are yet to be made explicit. Irrespective of any problems with the show, it is great to see Star Trek back in there and swinging.